I have long time been a fan of Heather Pace's blog Sweetly Raw. She is one of the first people that inspired my raw dessert making when I was new to it. Her desserts are so beautiful and delicious as well. So when she asked me if I would like to review her book I was excited! Although I love looking at recipes online, there is just something about holding a cookbook in my hand an paging through the recipes that I love. The first thing I noticed about her book is that it has plenty of beautiful colorful photos which is a must for me when choosing cookbooks. I like to drool over the photography as much as I like to browse recipes. She has photos for nearly every recipe so that you can see what the end product will look like which I love. Not only that, she has photo tutorials on some of the recipes so you can see the process! 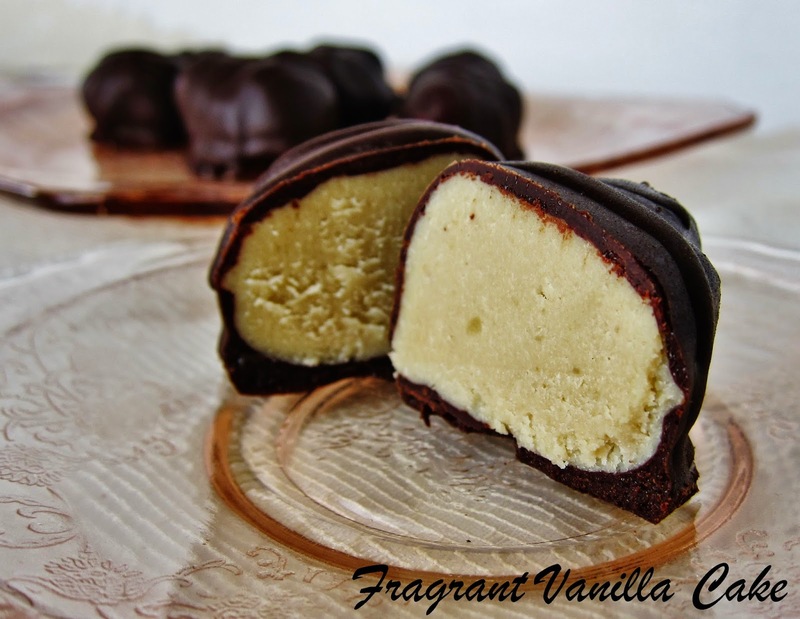 It was a hard decision what to make first out of her book, but I decided on the Raw White Chocolate Vanilla Bean Truffles. I have made a lot of raw candy, but never these. I am drawn to anything vanilla bean. To me it is one of the most heavenly flavors. 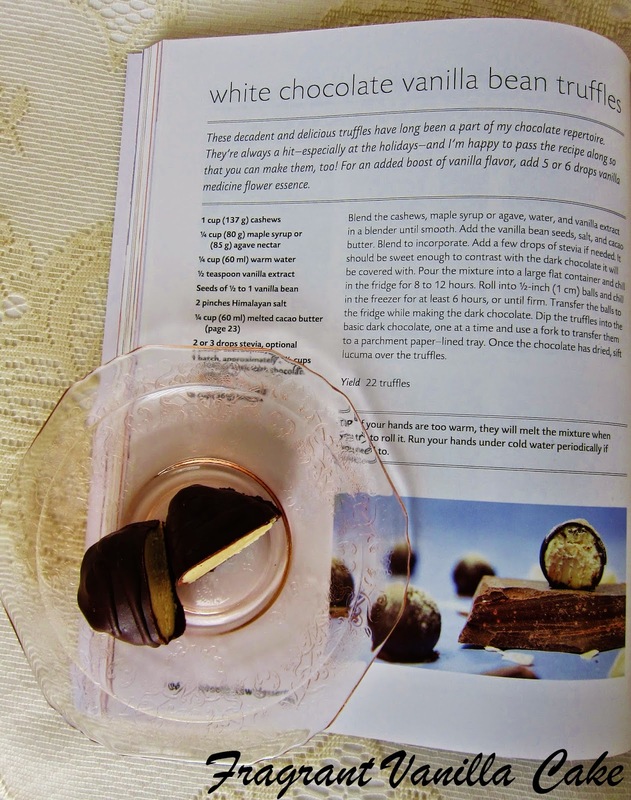 Everyone has their own truffle recipes, but I wanted to try someone else's. When I made the filling it was so freaking delicious I knew these were going to be amazing! I decided to shape them into truffle eggs since Easter is right around the corner. Once they were all finished, and I sampled one OMG...one of the best raw candies I have ever eaten! Heather is obviously a pro at making raw chocolates. Btw, she sells them on her website HERE in case you want to buy some instead of making them. Trust me, you should get a copy of her book too, it is well worth the price for all of those beautiful recipes and photos! You can find it HERE. Also, be sure to pay a visit to her website and check out her other recipes! Blend the cashews, maple syrup, water, and vanilla extract in a blender until smooth. Add the vanilla bean seeds, salt, and cacao butter. Blend to incorporate. Add a few drops of stevia if needed. It should be sweet enough to contrast the dark chocolate it will be covered with. Pour the mixture into a large flat container and chill in the fridge for 8-12 hours. Roll into 1/2 inch (1 cm) balls or 2 inch eggs (if making the eggs). Freeze for at least 6 hours in the freezer until firm. 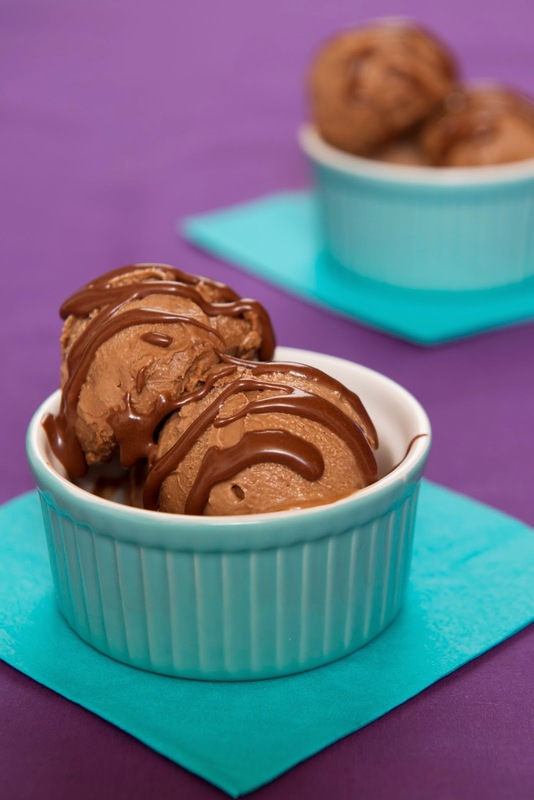 To make the chocolate, either place the cacao butter into a large glass bowl over a pot of boiling water to create a double boiler (make sure the bottom is not touching the water). Lower the water to a barely a simmer. Whisking often, allow the cacao butter to melt. Alternatively, you can place the bowl into the dehydrator to melt the chocolate at 115F. Once the butter has melted, make sure it measures 1 cup before proceeding with recipe. Whisk in the maple syrup, and sift in the cacao powder, whisking until smooth. (if it starts to clump up, allow it to warm again). 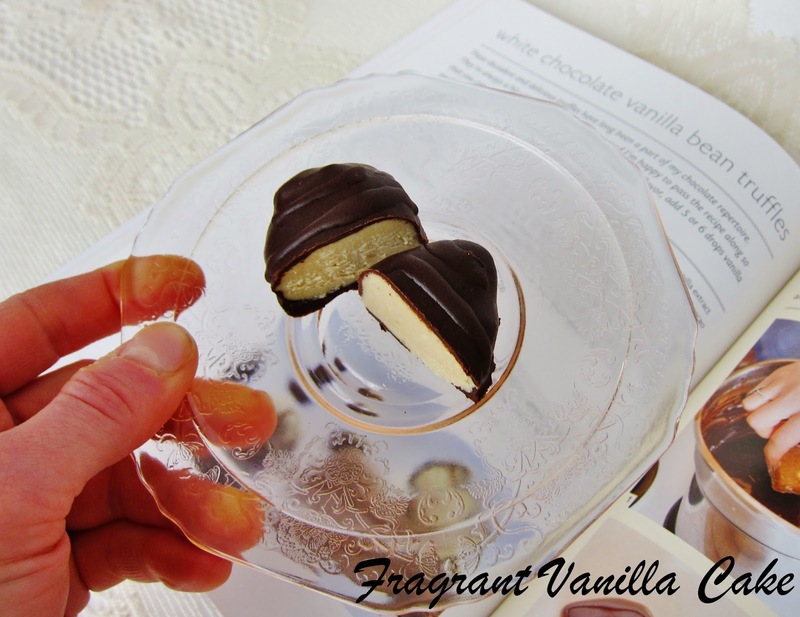 Dip the truffles into the chocolate, one at a time and use a fork to transfer them to a parchment lined tray. Once the chocolate has dried, sift lucuma over the truffles if desired. sweetly Raw was one of the first raw food blogs I started following when I embarked on my raw journey. Heather is so inspirational with her food and pictures! I'd love to win this one since its been on my wish list since it came out and making raw desserts just makes life a whole lot better! The recipes and photos look amazing! Just might have to get it and make these for Easter! Looks delicious! 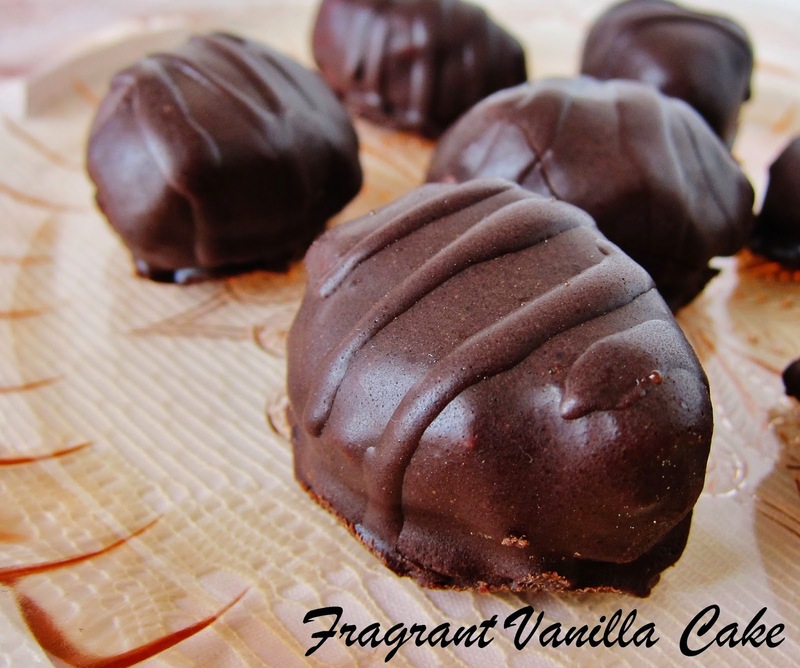 I'd love to win to make these truffles and other raw goodies! 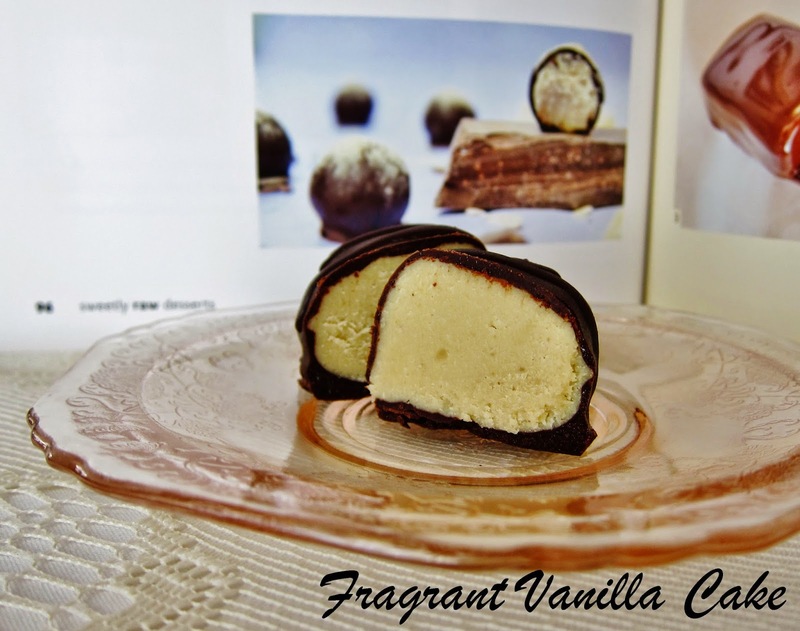 I want to win beause dessert is my favorite thing to make and would love to start making more raw desserts. 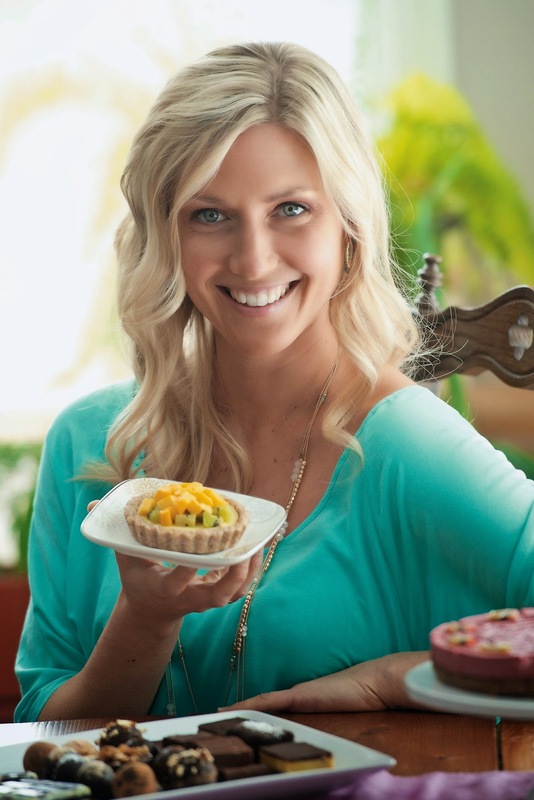 I love the recipes of Heather!! Delicious and wonderful!! You Amy and Heather are great teachers!!! I really need a copy of these book!! I love raw vegan sweet preparations, desserts!!! Blessings!! 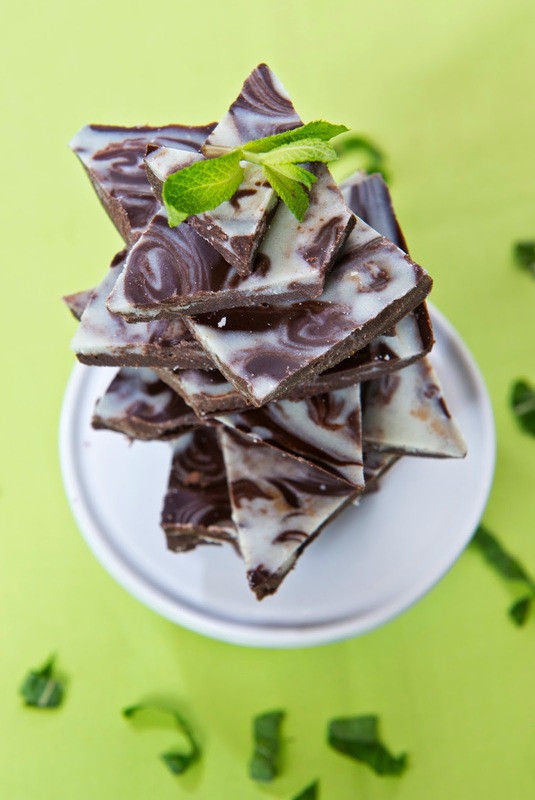 I love the recipes on Sweetly Raw. I have already made a couple and they were amazing! 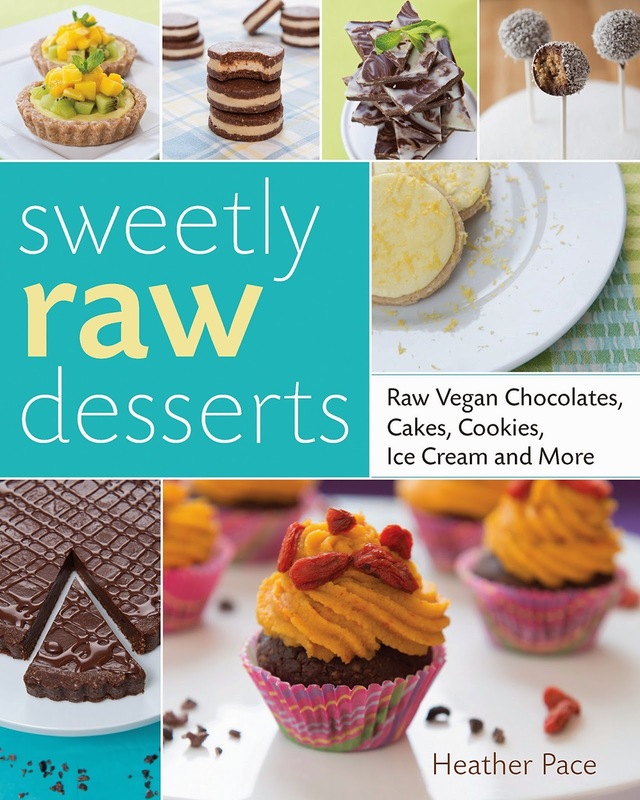 I would love to win this book so I could make all the lovely raw desserts in there! Why would I not want to win it. I'd be crazy not to win it, and I'd love too. I love raw desserts and these all looks so yummy. If I don't win that won't keep me from buying it. 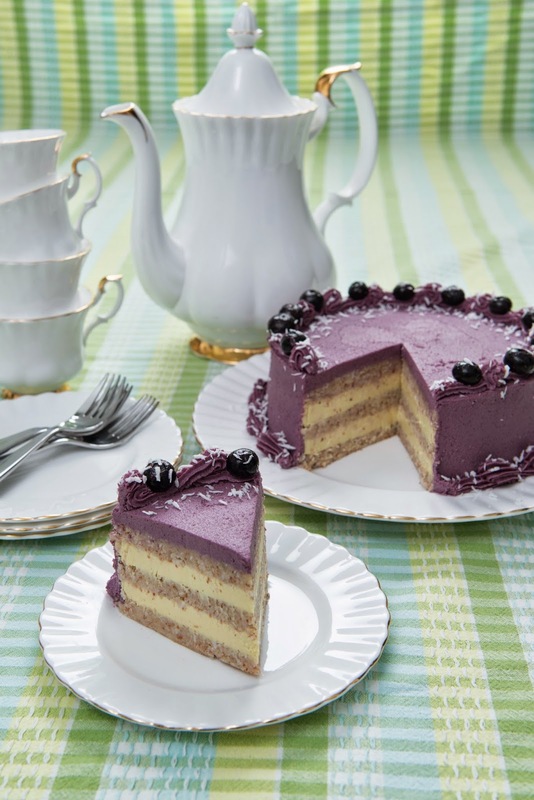 Im not familiar with her but now I want to try her amazing cake recipes! Oh gosh this recipe book looks wonderful <3 I don't own any cookbooks and need to sort that out! I have really trying to get into more raw desserts and this will definitely add to my collection! I started drinking smoothies but would like to go beyond that! Awesome review, Amy! Heather Pace is one of my faves...drool worthy desserts. Thank you for showcasing such a delicious sounding candy!! I love the idea of raw desserts but I definitely don't make many. It probably comes down to money (nuts and cocoa butter can be pricey) but i love the idea that a dessert can be full of nutrition and healthy fats. 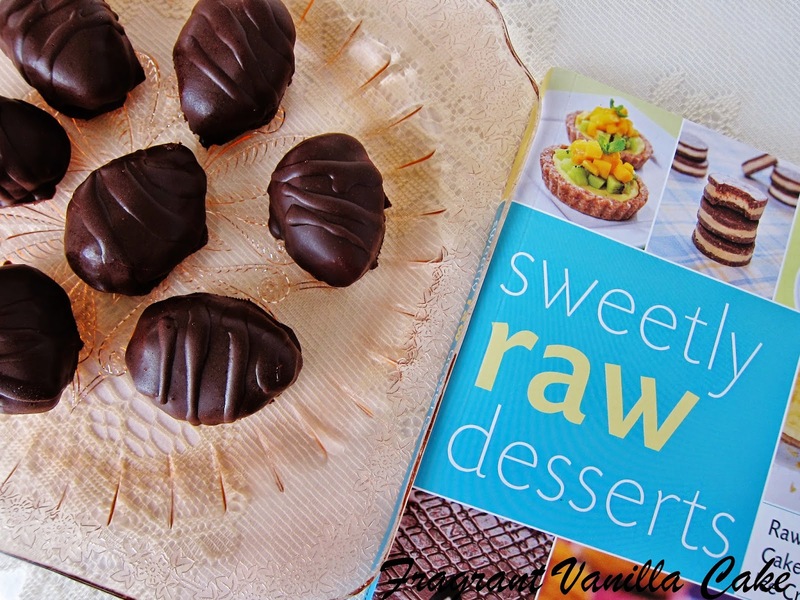 Hubby and I have recently started cooking raw meals and since he's the cook and I'm the baker in the household, this Sweetly Raw Desserts book looks like the next best staple to be added to our kitchen!! always like trying new things! This raw desserts book looks incredible! My mother and I are vegan and are always trying to incorporate more raw dishes (especially desserts!) into our diet. We would love to try her delicious recipes! We will be making the truffle eggs tonight. ;) Thanks for the recipe. :) Oh, and of course I love your blog as well! I would like to give this to my mother. She likes to discover new snacks and desserts. I would like to make some of these deserts. I'd like to make healthier desserts! Veganism and raw foods were what made me fall back in love with food years ago. But sadly enough, I've fallen off the wagon and have had a bit of a time getting back on. A book full of gorgeous, healing recipes by a miraculous woman is exactly what I could use to reignite my passion. Because I've loved and drooled over Heathy's recipes for years! I work in a kitchen for a living and everything always seems so unhealthy. I'd love to get this to use at home, the food looks delicious! We want to eat healthier and this would be great! I love creating new raw food goodies and sharing them! I would love to win because I love to try new recipes. I really don't know what I am doing by myself. Recipes are awesome! This is my kind of food and ingredients, everything looks yummy and I can never have too many vegan cookbooks. I want to win because I'm a Vegan and I eat real food too! i would love to win because I'm on the hunt for healthier recipes!